Protecting your organization from litigation starts the minute you decide to hire someone. Potential lawsuits are always on the horizon and you never know when an applicant or candidate will decide to sue you for a misstep in hiring. Know that all candidates and workers are protected against any hiring decision based on the following: race, color, religion, creed, gender, national origin, age, marital status, citizenship status, disability, military or veteran status, sexual orientation, gender identity or expression, genetic information, pregnancy, or any other characteristic protected by applicable law. Your postings should contain the following M/F/EEO/V/Disability. This shows that you do not discriminate on the basis of being a Male or Female, you abide by all Equal Employment Opportunity laws and regulations, you welcome Veterans and those with disabilities to apply for your position. Pre-employment testing can be done as long as you make sure that your testing is valid and reliable. Any test should cover exactly what you are trying to ascertain for the skill(s) on the job. Make sure that the test will yield the same result no matter who takes the test. There should no discrimination in your tests against any of the protected areas. There are several tests on the market that have been validated and reliable. Creating your own test could cause you to have a law suit levied against you. When interviewing the candidates for the position, make sure that your questions are skill based or behavior based. Questions around the skills areas should be around the essential job functions needed to perform the job. The behavioral based questions should be towards competencies or “how do you” questions that will give you some insight into how the candidate had handled a specific situation in the past, which will translate into how they will handle a similar situation if hired. Don’t ask anything that is considered protected areas such as childbirth, marriage, number of children, religion, etc. Under the new Connecticut law effective 1/1/2019, you cannot ask a candidate how much money they made on their last job or any previous job. It is discriminatory to ask this question. If the candidate volunteers the information before you ask the question, you can then pursue and ascertain salary requirements. Your job descriptions should be up to date and have the essential job functions necessary to perform the job. You should also have the American’s with Disabilities Act requirements listed in the job descriptions along with the minimum education and any licenses that are needed or required. When you perform background checks, make sure that the candidate signs a release before you begin the background check. The same goes for a drug test. The candidate must sign their approval to submit to such tests/checks. Have a hire or job offer letter sent to the successful candidate which indicates their title, reporting relationship, salary payable in weekly, semi-monthly, etc. rates, and an employment at-will statement. Make it clear that the hire letter is contingent upon completing any testing or background checks that are necessary for hiring. If there are any special circumstances that do not conform to a policy or procedure, make sure that you include the difference in the letter. Lastly, receive back from the candidate a signed and dated letter stating that they accept the terms and conditions as stated in the letter. 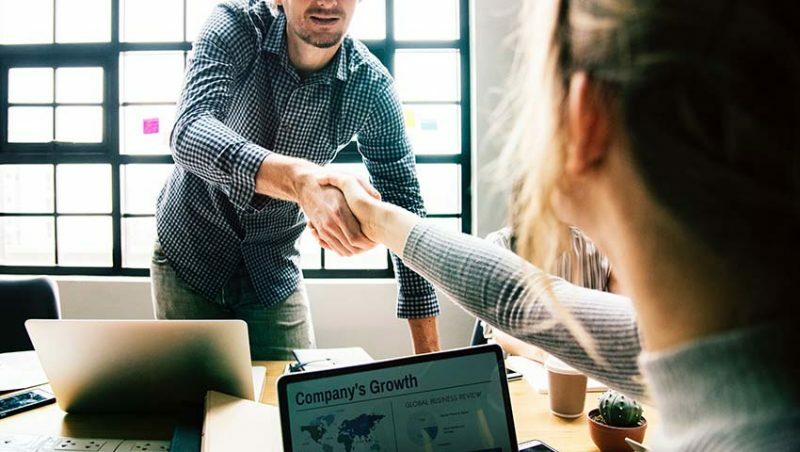 If you follow these helpful tips when hiring a new employee, you will lessen your chances of being sued for wrongdoing in the hiring process.